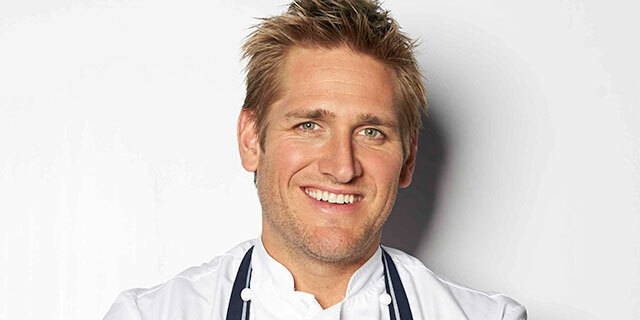 Curtis Stone is an internationally known chef, restaurateur, TV host and best-selling author. His philosophy to cook as Mother Nature intended inspires Curtis to keep his recipes simple, using local, seasonal and organic ingredients, which is the premise behind his first restaurant, Maude, which opened in Beverly Hills in early 2014. Maude’s accolades include LA Weekly’s ‘Best New Restaurant,’ Eater LA’s ‘Restaurant of the Year,’ and Maude was named one of Travel + Leisure’s ’40 Best New Restaurants in the World’ (2014). Most recently, Maude was named a James Beard Award semifinalist in the Best New Restaurant category. 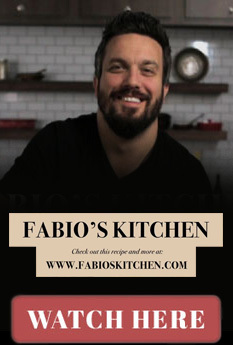 His sixth cookbook, Good Food, Good Life was released March 10th, 2015. • Let’s assume that I don’t know you. In a few sentences, please share with my readers why the world can use more of you? Haha! More Curtis Stones, I think some people would object to this. • What is one food you love and could not live without? What is your least favorite food that you wish would disappear from the face of the earth, and why? Favorite – white truffles, hands down. They totally move you. I have an instinctual attraction to them. From the very first time I smelt them, I was like “oh my god, what do we have here?” I was working in one of Marco Pierre White’s restaurants and I can remember the truffle man coming in, opening the box and that was it, I was completely drawn in. Least favorite ingredient would have to be licorice, however, I don’t wish it would disappear off the face off the earth. What’s life without the ups and downs? The good and bad? Variety is the spice of life baby! • What is one thing you wish you had time to do but currently doesn’t fit into your busy schedule? Learn Spanish. Every New Year I promise myself that I’ll learn it but it hasn’t eventuated yet. No more mañana! • What is the weirdest things you have ever eaten and where were you? Rocky Mountain oysters. Doesn’t sound crazy, does it? Though alarm bells should ring when you hear ‘mountain’ and ‘oysters’ in the same sentence, right? Rocky Mountain ‘oysters’ are actually deep fried cow’s testicles. I tried this in the Midwest, and it is quite a normal thing to eat there. I’m an adventurous eater, so I’m not overly phased by the ‘weird’ stuff. • What is the one meal that reminds you most of your childhood/family? It’d be my granny’s roast lamb. You know what, come to think of it, it was always a little overcooked, but there’s just something really delicious and special about your granny’s cooking. • What would be the last meal you would want to eat/make if you only had 1 more day to live? It’s my granny’s roast lamb that I mentioned above. Second to that would be something totally decadent like foie gras, white truffles and caviar. • Breakfast, lunch, & dinner: What would be your perfect 3-square meal? Ok here we go… Brekky is a croque madame with country ham, followed by a nice zingy, colorful salad like the Baja Salad from my latest cookbook Good Food, Good Life for lunch. To sign off on the day, a roasted pork belly dish with homemade applesauce would be pretty epic, and it’d be rude not to have dessert. I’m a chocoholic so I’m down for anything chocolaty or some sort of seasonal fruity dessert. Right now, being spring, a pavlova topped with cream, rhubarb, strawberries and a nice crunch from toasted pistachios or slithered almonds would hit the spot! • Of course you want 2015 to be a good one. If all else fails, what would you want your one and biggest success to be? Being a good parent, being a good dad to my two little guys, Hudson and Emerson, and a good hubby to my wife, Linds. We have a good laugh together. Hudson is turning four this year so his little personality is really developing – I have a little sous chef on my hands. And the two boys together… I smell trouble on my hands. • What is your most prized possession? My outdoor pizza oven. I use it for all sorts of dishes from charring chilies for salsa, cooking steaks to roasting a leg of lamb. Always a nice wow factor too, when people come round for an alfresco get together.